Nate shows Zoey the Morph-X-powered bike he built based on her designs. She hops on and rides right to where Mayor Daniels is overseeing the beginning of construction for a road that’ll cut right through a forest. With Zoey’s mother at the site reporting for the news, Zoey persuades the Mayor to try promoting the X-Bike to the citizens of Coral Harbor for one week. And if people ride the bikes, he will cancel the road project. 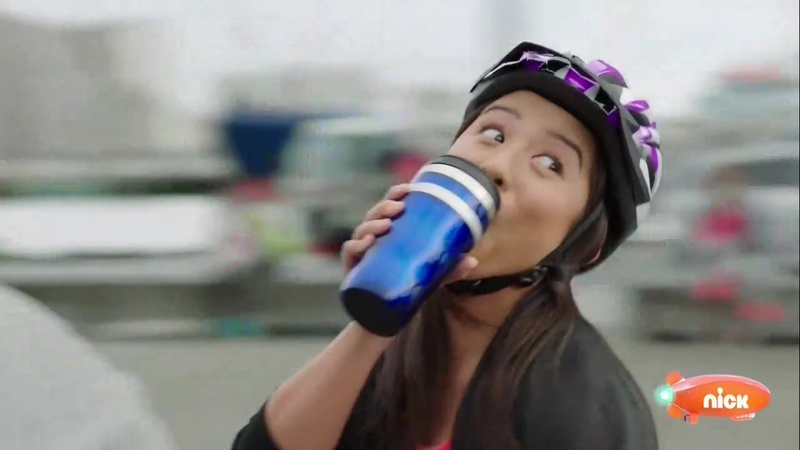 But Zoey, Ravi and Devon have trouble promoting the bikes to the public. The Burke Sibs come riding in on a two-person X-Bike and that gets some people looking. Just then, Blaze pops in to steal Morph-X from the X-Bike kiosks. He turns a pump into a Robotron, Needletron to drain the Morph-X for him. 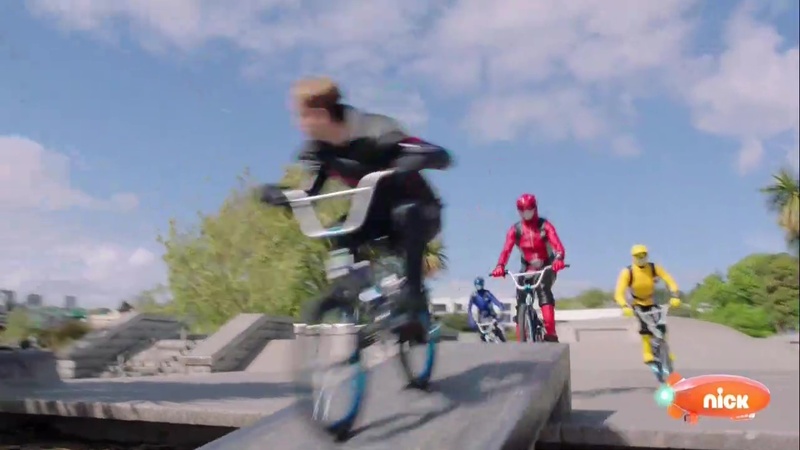 The Rangers confront them, but Needletron zaps Ben and Betty’s bike, causing it to explode, their bike to split in half and send them flying into the water. Devon, Ravi and Zoey morph as does Blaze. They and Needletron battle. But Needletron quickly forces Devon and Ravi to demorph. Blaze tees up Zoey for Needletron, but she uses her rabbit power to hop out of the way. She tests out the new Beast-X Cannon and destroys Needletron with one shot. Blaze takes Needletron’s arm and heads back to the Cyber Dimension with the collected Morph-X. But it’s not enough for a Gigadrone. With the deadline tomorrow, the Rangers and Nate head to the forest to collect every single animal that lives there and stuff them into boxes and cages. Nate tells Zoey he’s made a friend in a lizard. And he tells her about his parents working overseas and him being alone. But now he considers the Rangers his family. Zoey is still stressed over her bikes, but she realizes they need to make the bikes seem cooler so people will be interested. First though, they need to deal with Blaze who has appeared near City Hall. They shoot at Blaze’s arm and he lets go of the needle, causing it to explode. Blaze cannot morph and instead hops on a bike. The Rangers also hop on bikes and chase him. Zoey’s mom is in a helicopter reporting on traffic when they spot the high speed bike chase. They broadcast the chase live on TV. The bike chase ends up in a warehouse where Roxy is waiting with some Tronics who are collecting the Morph-X they’ve acquired. Roxy tells Blaze to take the Morph-X to Scrozzle and she’ll deal with the Rangers. Scrozzle creates a Beta model Gigadrone and sends it to Earth. Commander Shaw alerts the Rangers and Ravi heads out himself, meeting Smash at their zord. Devon and Zoey take on Roxy. Smash suggests they try out Gorilla Mode. 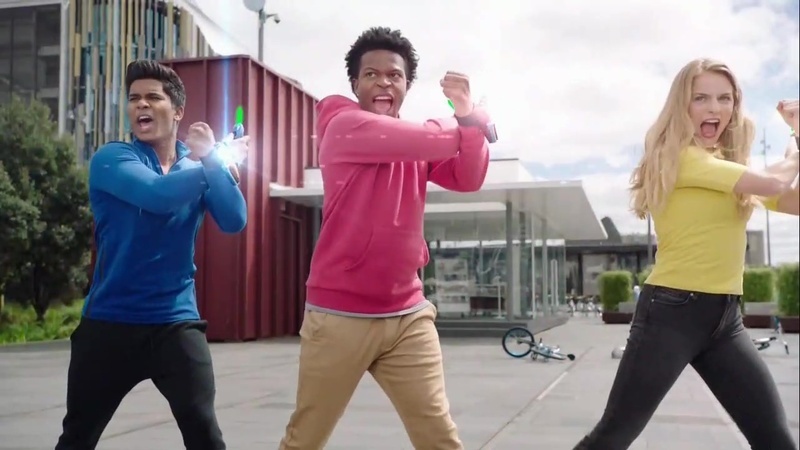 Ravi and Smash take on the Gigadrone, but it drains the zord’s Morph-X. Devon hurries over to help, leaving Zoey and Roxy to face off. Zoey is able to outsmart Roxy who decides to retreat for now. Devon arrives and takes over for Ravi to finish off the Gigadron with the Cheetah Beast Blaster. Next day, the high speed bike chase has gone viral and everyone in the city will be riding X-Bikes from now on. Mayor Daniels cancels the road project and tells all the construction workers they’re out of a job. Zoey thanks her mother for filming the chase and getting it viral. But Ms. Reeves says it’s all the Rangers being cool that made the bikes popular. Ben and Betty roll in on their new X-Unicycles. This was an okay episode. I think it has to be the weakest of the three episodes so far. But still alright. The story made sense, even if a little basic. Best part was the insight into Nate’s background and him growing up without his parents who work abroad. Also meeting Zoey’s mother was great as well. And nice to have family for all the Rangers. But seriously, overall this was an okay episode. Nothing special, but still reasonably enjoyable. The high speed bike chase, notwithstanding. ← Recap: Super Sentai Strongest Battle, Final Battle (Episode 4) – Heading Towards Tomorrow! Overall, I like this episode. Remember, next time in 2 weeks! Gotta say, the amount of original footage of these 3 episodes is insane. One worry is they’d have blown their budget on these first episodes and the later eps will be all Go-Busters footage. lol But we’ll see and hope for the best. An interesting episode focusing importance of riding bike and protect nature! 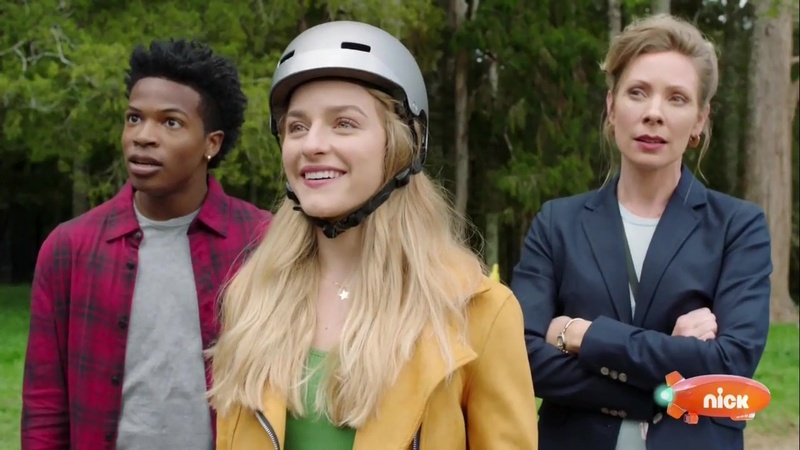 As far as female ranger centric episode goes, it was pretty solid where we get to learn more about Zoey and her interaction with mom, who is reporter (unaware of Zoey as ranger) and Nate, my favorite supporting character, who’s parents are away and only child. It’s much better female ranger/Yellow Ranger centric episode than Saban Brands Era. The best thing and highlight of this episode were Morph-X Bike, a Power Rangers original vehicle. Much like Zoey’s eating carrot is good for health, this promotes kids to exercise which I like; I haven’t ridden bicycle for more than decade (no joke. lol). It’s very refreshing to see rangers riding non-motorized vehicle, which is VERY rare to see not only in Power Rangers but Sentai/Tokusatsu in general; only other I can think of is Sports Gamer from Kamen Rider Ex-Aid and Kou/Kibaranger Skateboard. I like the design of the bike and action/stunts were very entertaining to watch. The fight between Zoey and Roxy was also entertaining as well; probably one of the best Female Ranger vs. Female General (also Yellow) fight I’ve seen in while. Definitely stronger than previous episode and I really give props to Hasbro for giving ALL 3 RANGERS A BICYCLE; not just Red riding Bike. The character interaction was done pretty well. I’m curious when will ranger expose their identity to their public if not ever. I really like seeing the Rangers’ parents all are involved in the story somehow. Not like Papa Romero or Papa Navarro in NS and DC who were actual Rangers but were invisible most of the season.